Breast Reconstruction - Missoula, MT - Stephen P. Hardy, M.D. A partial or full mastectomy will transform the shape and appearance of a woman’s breast. Some women accept these changes, while other women find the physical alterations compromise their body image and sense of self. For these patients, breast reconstruction at Northwest Plastic Surgery Associates in Missoula, MT, can restore a feminine figure and self-confidence. Our board certified plastic surgeons have the surgical skill to deliver the feminine shape you desire, using a natural flap or implant reconstruction technique. Our staff appreciates the sensitive nature of women who are emotionally grappling with the effects of their cancer therapy, and we make every effort to ensure that you are completely comfortable with each phase of treatment. Breast reconstruction is a surgical procedure to recreate a breast for a patient who has undergone a mastectomy. At our Missoula cosmetic practice, Dr. Stephen Hardy strives to give his patients more than improve looks, but also he is committed to improve their self-esteem. Most women who have undergone a mastectomy, or are about to, can be suitable candidates for a breast reconstruction procedure. Your medical history, concerns about the procedure, and treatment goals will be discussed with your surgeon during your initial consultation. Your doctor can help you determine the correct technique for the results that you desire. Our dedicated staff, with decades of experience in breast reconstruction, can walk you through every phase of treatment, ensuring that you understand your options and helping you to feel confident in your choices. Understanding the expected outcomes are also a key part of preparing for a mastectomy. Your doctor will talk with you about the positives of breast reconstruction in balancing your bust line and refreshing your self-confidence. He will also discuss the differences that you can expect with respect to the shape, feel, and sensation of your breasts following the procedure. Flap reconstruction, or autologous breast reconstruction, uses the woman’s own skin and fat tissue to recreate the breast mound. A flap of tissue is repositioned in the chest from another area of the body, often the abdomen or flanks, to create a natural-feeling breast without the need for implants. Because multiple areas of the body will be surgically treated, a flap reconstruction takes about four to six hours to perform. Patients can expect to stay in the hospital recovering for two to five days, with healing continuing for several weeks following surgery. Daily activities can be gradually reintroduced, and many patients can return to non-physical work about four weeks after the procedure. The other surgical approach available for breast reconstruction patients involves placing breast implants. This technique is usually performed over two relatively quick procedures that take about 30-45 minutes each to complete. The first surgery involves placing a tissue expander beneath the chest muscles. The device is gradually expanded over a few months, slowly creating enough room to accommodate the implant. When this process is finished three to four months later, a saline or silicone implant can be placed. Recovery from this procedure is greatly reduced when compared to flap surgery. Most patients will heal at home during the first week and be allowed to return to work about two weeks following the procedure. 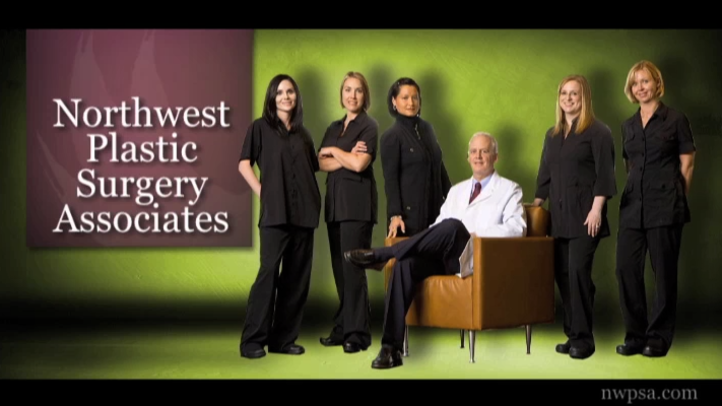 The surgeons and staff at Northwest Plastic Surgery Associates are committed to restoring your body and emotional well-being. With compassion, professionalism, and expertise, we are dedicated to helping you achieve a figure that enhances your quality of life. Call us today at (406) 728-3811, or make your appointment online to learn more.